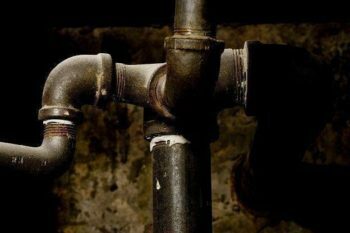 When a pipe bursts or your drain clogs, the last thing you want to do is search through the phone book for a qualified plumber. 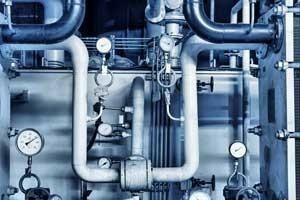 Plumbing can become complicated fast, and you don’t want to trust just anyone with these delicate procedures. For the most complete plumbing services in your area, call John’s Plumbing & Pumps, Inc. We’ll take care of the problem and get your house back in working order efficiently and professionally. We’ve been serving Olympia and the surrounding areas for over 60 years, and we’ve encountered everything in that time. Our family-owned business believes that knowledge and experience go hand in hand. That’s why we make sure that our ongoing training keeps our plumbers at the forefront of our industry. Our plumbing services are sure to get you the most accurate, thorough, and efficient plumbing around. It’s always been our intention to provide our customers with a complete plumbing solution. Our talented plumbing contractors can perform any plumbing task you may need them to whether it involves commercial or residential property. We have a variety of plumbing options extend to every facet of your home and business. Our skilled plumbing repairmen are capable of handling any needs you may have. No matter how big or complex the clog, we can take care of it. If you are suffering from leaks, we perform robust leak detection to identify and repair the problem at the source. If you have any issues with your septic or sewer system, we can diagnose and repair all septic, sewer, and drain problems you may encounter in your home or business. Our water heater repair and water filtration systems make sure your plumbing provides you with high-quality water for drinking and bathing that heats up when you need it. We know that well owners need reliable, clean water and a capable plumbing provider for doing work on your well. We are experienced with well water pump servicing including installation, repair, and maintenance. Our water treatment services make sure that you’ll have potable, fresh, safe water from your well anytime. No matter what your plumbing requires, we have the service for you. Call or Contact us today for all of your plumbing needs.